State officials have ordered the slaughter of nearly 300 hogs at a county fair in Ohio after tests were positive for swine flu. The Wilmington News Journal reported Thursday that at least one hog had tested positive in the hog barn at the Clinton County Fair. 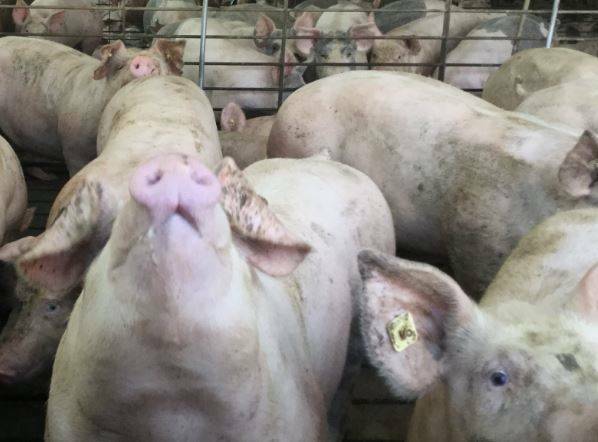 Ohio Department of Agriculture veterinarian, Dr. Robert Carey, DVM, said Friday he took additional swab tests from more swine that were showing clinical signs of the virus Thursday. On Friday, Carey said he received confirmation from ODA that the tests for the other swine were positive as well. By Friday morning, all of the swine had been removed from the Clinton County fairgrounds, said Clinton County Health Commissioner Pamela Bauer. Bauer confirmed the swine were infected with the swine flu H3N2 virus. An Ohio Department of Agriculture spokesman said Friday that the fair will disinfect the barn and its contents to stop any spread of the virus. Department spokesman Mark Bruce said any equipment inside the barn will be released to owners after disinfection. Hog breeder Joey Johnson says it’s been difficult, especially for children whose animals will be slaughtered. The federal Centers for Disease Control and Prevention (CDC) says when humans are infected with swine flu, it’s typically transmitted by prolonged exposure to hogs at agricultural fairs. Just days ahead of next week’s Fayette County Fair, the Fayette County Senior Fair Board issued a statement Friday asking fair exhibitors to not bring any swine that were exhibited at the Clinton County open swine show, or hogs showing signs of illness or fever of 103 degrees or more. There was an open swine show at the Clinton County Fair Sunday. Fair board member Doug Marine said people took those hogs into the Clinton County Fair for the Sunday show and then left before the regular swine show exhibitors came later in the week. “We issued the statement because if there was anybody who had hogs down there (at the Clinton County Fair), there’s a possibility that they could have been contaminated. That’s just so that our exhibitors will know and not show up with sick pigs and fully understand what could happen. We certainly want everyone to be cautious and to have their animals checked and not bring a sick animal onto the fairgrounds,” said Marine. Marine said if an outbreak of swine flu occurs at the Fayette County Fair, those hogs on exhibit would be shown terminal. Fayette County Health Department registered nurse Jeannie Bihl said people need to be cautious if they come into contact with sick pigs. “It is possible to get swine flu but it’s rare for people to get it from pigs,” said Bihl. The Center for Disease Control and Prevention (CDC) has not released any information as to whether there have been humans infected with the swine flu H3N2 virus this year. Last year there were six confirmed cases in the state where humans were infected with the H3N2 virus. Influenza symptoms include headache, body ache, fatigue, fever and nausea. The CDC recommends that people who are at a higher risk for flu complications should avoid going into animal exhibit barns. That includes children under 5, pregnant women, people over the age of 65, and people with weakened or compromised immune systems. People cannot contract swine flu from eating pork, added Bihl. The Ohio Departments of Agriculture (ODA) and Health (ODH) issued a press release Friday to remind Ohioans to practice good hygiene when visiting livestock exhibits this summer. The agencies recommend washing hands with soap and water before and after petting or touching any animal, and not taking food, drinks, children’s toys, strollers, bottles, pacifiers or other baby items into the animal barns. ODA is actively working with fair boards to increase access to hand sanitizer and hand-washing stations. The Fayette County Senior Fair Board said additional hand-washing stations have been installed at the Fayette County fairgrounds for this year’s fair. Questions and concerns about human contact with swine flu may be directed to the Fayette County Health Department at 740-335-5910. Questions and concerns about sick animals or hogs infected with swine flu can be directed to ODA at 614-728-6201 or to the Fayette County Agricultural Society at 740-335-5856.